I recently had the pleasure of chatting with Megan Nichole of The LaziMILLENIAL. She’s super real, super friendly, and super multipassionate, like the rest of us. She’s a pharmacist and health copywriter, a mom, and a blogger (no wonder we get along!). 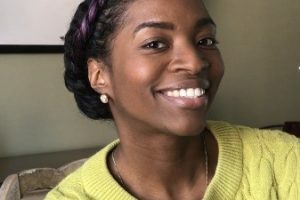 This gal is living what she preaches by making time for her multiple passions, but she doesn’t pretend to have it all together (just check out her about page and you’ll know what I mean). I also love the humour in her writing and the friendly tone in all her posts. Despite being super intelligent (she’s a multilingual Doctor of Pharmacy), she is still super down-to-earth. Here’s my interview with Megan. Make sure to read to the very end for some awesome practical advice for mutipassionate people of any age. My name is Megan Nichole. I live in the sunny southern US, just outside of Atlanta, Georgia. 2. What is the name of your blog(s)? What subjects does it cover? My blog is called The LaziMILLENNIAL Movement. It’s designed to help multi-passionate millennials build a profitable life that they absolutely LOVE! One of the core principles of LaziMILLENNIAL is putting your creative passions to work, so the blog topics really dive into that concept. It covers topics on creativity, productivity, and money-making. Society doesn’t encourage us to explore our creative sides enough, particularly as adults. 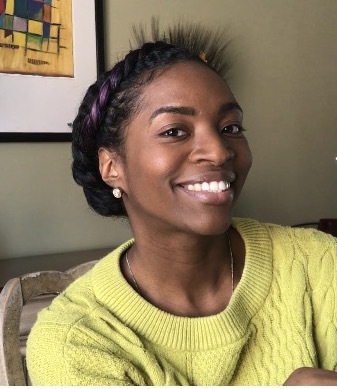 So LaziMILLENNIAL provides a space where we can talk about our creative interests, how to make time for those interests in our busy lives with competing priorities, and how to use those interests to make money! I also have a separate health blog that helps people avoid the need for medications but serves as a source of accurate and reliable health information for times when they do need medications. Initially, I only had my health blog, so I was in one niche. People really seemed to like the blog, but I found myself starting to lose interest in it. It wasn’t that I didn’t care about the topic anymore. I’m a health care provider by day, so of course I care about health. I just felt so restricted and limited that I knew I had to branch out and do something new. Hence, the birth of LaziMILLENNIAL. The thing is: I’ve always been like this, haha! I’ve always had a large variety of interests, some of which have nothing to do with the others (at face value). And in situations where I was forced to focus on only one thing, I became restless and disinterested. So I think it was only a matter of time before I ditched the single niche life! My blogs started out as hobbies, though I have monetized both to different extents. I am a freelance medical and pharmaceutical copywriter, so if you wanted to call that a part-time job, I suppose you could. In my full-time job, I am also a writer. That writing is more public health-oriented and regulatory in nature. My whole life revolves around writing! Definitely a mixture. As I mentioned, I have two self-hosted blogs. As a freelancer, I do write blogs for health-related companies (and non-health related companies too)! In a previous full-time job, I also wrote blog posts for a federal health agency’s website. 6. Where have you been published? Feel free to link to your author page and/or your post. I’ve been published on other blogs like The Confused Millennial and It’s All You Boo. I’ve also been published on RxEConsult and Healthline.com. Many of my more formal publications are on stuffy medical websites and in journals, haha! At its core, the essence of LaziMILLENNIAL is about embracing the many facets of you and your life. It’s about refusing to let other people dictate your path with the assumption that it has to be straight, narrow, and direct. I don’t believe people should live that way (unless they want to) and I don’t believe writers should accept the notion that they have to write that way either! Writing is a reflection of the individual. So as individuals, if we are able to lead multi-passionate lives, we should reflect that variety through our writing! There is no rule that says you have to live your life a certain way. Whether you choose to pursue a 9-5, a part-time job, a side hustle, a small business, whatever…make sure that you are staying true to yourself and the things that you really care about. Even if you find yourself in a field that you don’t love because it pays the bills, fill the rest of your life with activities that you DO love. It’s all about balance. If you have a creative passion, pursue it. If you don’t, find one. That’s what being a multi-passionate LaziMILLENNIAL is all about! Thanks Megan for the awesome interview! 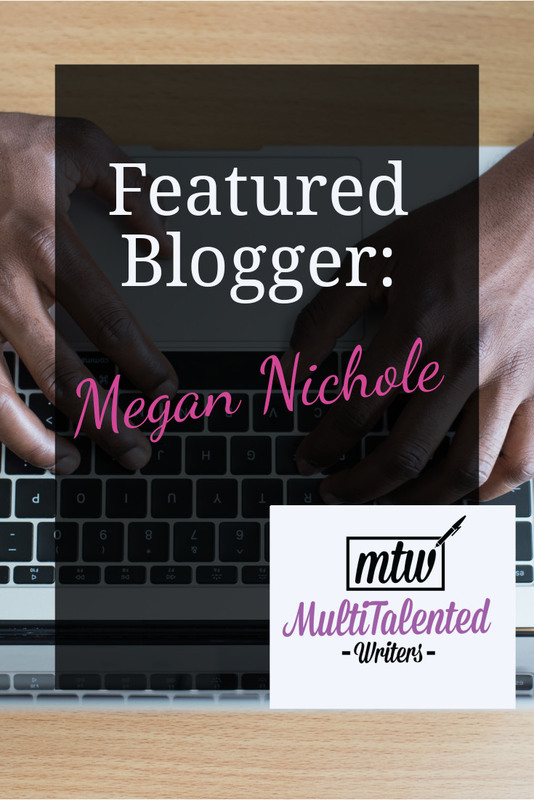 Show Megan some love—check out her blogs! You could start with this awesome post on how to figure out what to do with your life. Don’t worry; she doesn’t tell you to pick a niche!